We make these in either 2mm or 3mm steel stock with a leather belt sheath. The 3″ Woodlander has the same specification as the Classic 4″ Woodlander. This knife is great for people who are really into woodcraft as it is a lovely carving knife with a blade that is not too long but it still has a full size handle for good control. 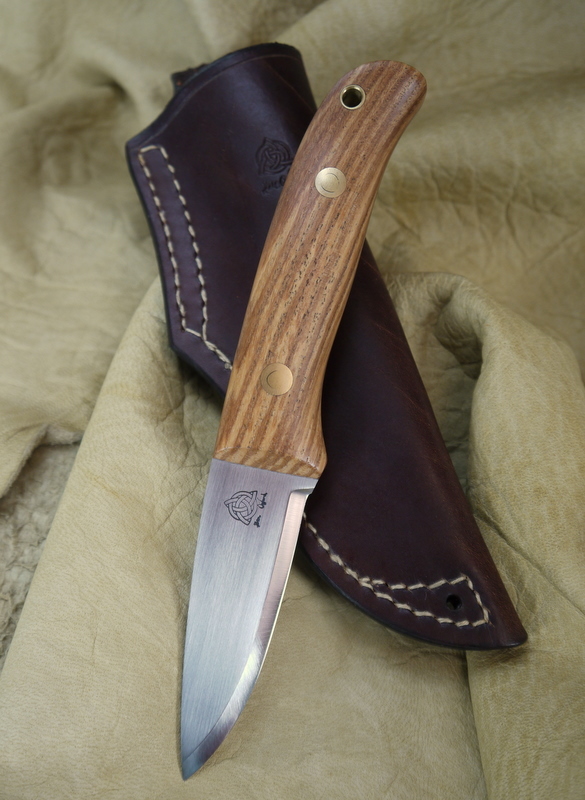 This size is proving very popular for people with smaller hands or young people who want the same classic style of the Woodlander but don’t need the large blade. We make these knives with various handle materials and sheaths.